A student dorm of Al Mujahadah was partly burned on July 5, 2013. South Aceh police promises to investigate the arson attack. The plight of the Al-Mujahadah Foundation madrassa in southern Aceh illustrates the perils of rising religious intolerance for Indonesia’s religious minorities. The school, a private institution that instructed dozens of students 8 to 25 years of age in the principles of Sufism — devotion to more mystical interpretations of Islam — lost its dormitory on July 5 due to an apparent arson attack. Less than a month later, on Aug. 1, the wall surrounding the school compound was destroyed in what the school authorities believe was an act of vandalism. Police are investigating the alleged arson attack, but say the school’s wall collapsed due to faulty construction. The South Aceh regency government complied with that demand on March 4 by ordering all students to leave the facility. It also told the school’s top administrators not to receive guests in their homes as a way to derail possible home-schooling efforts. The same day, a mob of around 70 local Sunni villagers destroyed the school’s front gate while police stood by. Now the school sits empty. 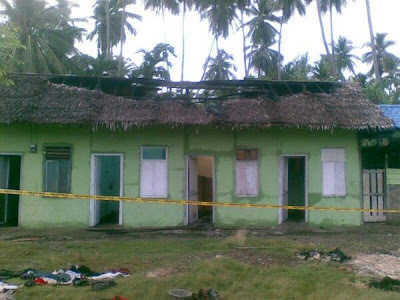 The attack on the Sufi community in southern Aceh marks a sinister new phase in the ongoing campaign of intolerance by Islamist militant groups, such as the Islamic Defenders Front (FPI). The targets of that intolerance and acts of related violence have long been Christian groups, Shiite Muslims, and the Ahmadiyah, as well as members of native animist faiths. Islamist militant groups seek to justify violence by espousing an interpretation of Sunni Islam that labels most non-Muslims as “infidels,” and Muslims who do not adhere to Sunni orthodoxy as “blasphemers.” The Jakarta-based Setara Institute, which monitors religious freedom in Indonesia, reported earlier this year that the number of reported incidents of violence related to religious intolerance jumped from 244 cases in 2011 to 264 in 2012. Now the Islamist militants seem to have a new target: Indonesia’s Sufi population. 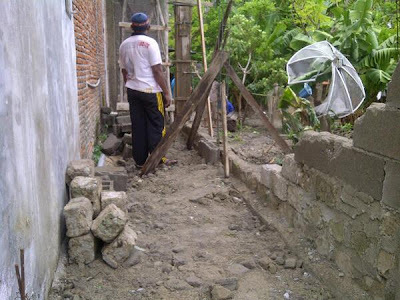 A wall of the Al Mujahadah compound was destroyed on Aug. 1, 2013. Sumatra has become ground zero for this new wave of intolerance and related violence against Sufis due to conservative Sunni clerics who have branded Sufi congregations as “heretical sects.” Unlike in other parts of Indonesia, Sumatra’s Sunni clerics are less constrained by the relatively tolerant Nahdlatul Ulama, Indonesia largest Muslim organization, which accommodates hundreds of Islamic tariqah (Sufi sects) under its umbrella, but which is relatively weak in Sumatra. In September 2007, the Indonesian Ulama Council (MUI) in West Sumatra issued a fatwa, an Islamic legal ruling, against the local Al-Qiyadah Al-Islamiyah Sufi sect on the basis that they were “heretics.” Police responded to the fatwa by arresting the sect’s leaders. In May 2008, a West Sumatra court sentenced Dedi Priadi and Gerry Lufthy Yudistira, the sect’s father and son leaders, to three years’ imprisonment for “blasphemy.” Not to be outdone, in April 2011 Aceh’s governor, Irwandi Yusuf, issued a decree that banned 14 minority Islamic sects, including Sufi, Ahmadiyah and Shiite groupings. Expect more such intolerance: in March 2012, the West Sumatra prosecutor’s office announced that the province hosted a total of “25 misleading sects” that merited official censure. It’s no mystery why Indonesia’s Islamist militants have been emboldened to extend their acts of harassment, intimidation and violence against the country’s Sufis. Human Rights Watch issued a report in February documenting an alarming rise in religious intolerance and related acts of violence. The government of President Susilo Bambang Yudhoyono has proven unwilling to confront the perpetrators, enforce existing law and judicial decisions, and defend the rights to religious freedom embodied in Indonesia’s constitution and international law. Indonesian government officials and security forces have often facilitated harassment and intimidation of religious minorities by militant Islamist groups or stood by while militants violently attacked religious minority communities. Such actions are in part made possible by discriminatory laws and regulations, including a blasphemy law that officially recognizes only six religions, and house of worship decrees that give local majority populations significant leverage over religious minority communities. When I taught at the Ar Raniry Islamic Institute in Banda Aceh in the 1990s, I got to know some members of the religious minorities now under attack there. They deserve an end to the hate campaigns. In May 2013, Yudhoyono promised that his government “would not tolerate any act of senseless violence committed by any group in the name of the religion.” Indonesia’s religious minorities, including the Sufis of Sumatra, need him to deliver on that promise.